Editor’s note: This year, we’re celebrating innovation in journalism through a series of interviews with changemakers from across the news industry. Through the “Newsmakers” series, you’ll get to know a few of the journalists, newsroom leaders, researchers and technologists who are shaping the future of news. Founded in 2002, Khabar Lahariya is an all women-run rural news organization based in India. As an entirely digital organization doing on-the-ground reporting in India's small towns and villages, they believe in the power of technology to tell stories that matter. There are 200 million Dalits in India, but you wouldn't know that from the country's mainstream media. Once known as the “untouchable” class in the Indian caste system, the Dalit community has been repressed for centuries and to this day are underrepresented in mainstream media. Kavita Devi's work aims to change that. As a co-founder and Head of Digital at Khabar Lahariya, a regional women-run news organization that’s focused on telling unheard stories from remote, rural areas, Kavita Devi is one of the few female editors of Dalit heritage in all of India. Over the past three years, she has helped the organization transition from a printed newspaper to a digital-only news platform focused on video news, reflecting the changing user behavior of their readers. She also hosts "The Kavita Show," the region's first weekly video program to be anchored by a Dalit woman. 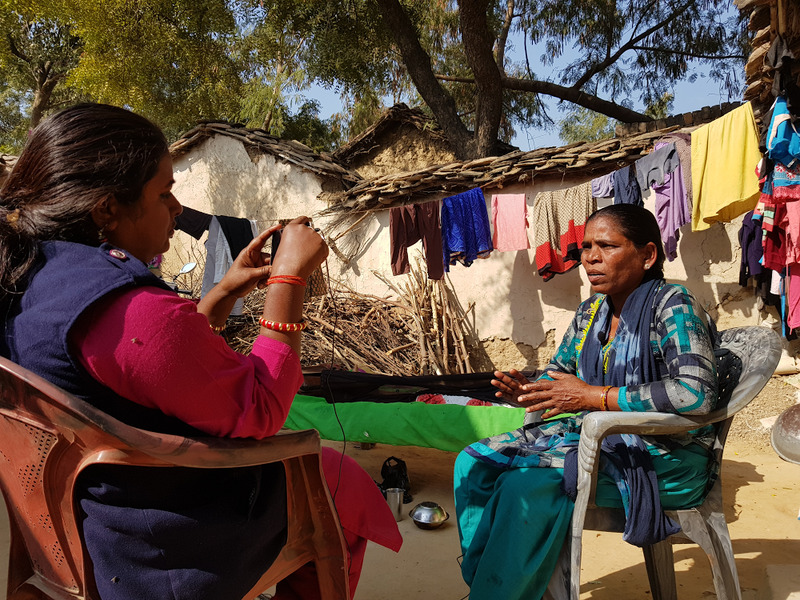 Translated from Hindi by her colleagues, Kavita Devi explained to The Keyword how technology is helping her newsroom shine light on issues facing rural communities that are so small, they don’t even exist on many maps. How did you first get started in journalism? I became a journalist when I began my work at Khabar Lahariya in 2002. Before Khabar Lahariya, I never dreamed that I could have a job like being a journalist. It changed my life. I really struggled to access education and knew how hard it was to build a team of women like myself. As Khabar Lahariya grew, we started hiring non-literate women, to give them opportunities to learn the professional skills of reporting, marketing and production, and began the business of publishing a local newspaper. What’s one thing that the industry should do more? Stories of disenfranchised citizens in small towns and rural areas have been simmering for years. But these have been untold or ignored by mainstream and elite media organizations. Local reporting in India has been fraught with concerns of bias or quality, as newsrooms have cut down on or not invested in journalists in these areas. Many local news organizations focus on advertisements and sponsorships over storytelling at a local level. Stories of oppression and underdevelopment of areas inhabited by Dalits, Muslims and those living on the margins of society are untold or underreported. Journalists should not be distant from the communities they serve. Newsrooms need to invest in diversity. More people, including women from local communities, should be leaders in news and leadership positions shouldn’t be limited to the few who run major media outlets. What major changes are you currently seeing in the news industry? Collaborations between media platforms and social media platforms are the big industry disruptions that we are witnessing right now. I also think that digital platforms—both independent and owned by large media—have made news travel across locations. We’ve seen that in the way some large urban/English platforms are collaborating with smaller, non-urban news platforms. While these are fairly new and limited at the moment, there is potential for these collaborations to make news real and meaningful to many more people. Such collaborations can also ensure that stories about local people are heard at the national and international level. What new technology do you think has the power to change newsrooms for the good of the public? Technology that is easily accessible to people at the bottom of the pyramid is most effective. In the last two years, YouTube and WhatsApp have revolutionized how people access and share news and they have changed the way our newsroom works in a very positive way. These tools are available to everyone using the internet, and news on these platforms travels fast. YouTube has helped Khabar Lahariya jump the literacy barriers. We’ve been able to reach many more women and non-literate people in villages through the platform. We’ve seen that our outreach on YouTube is the highest in rural areas of Uttar Pradesh and audience engagement with our news there is also very high. What would you say to a student thinking of entering journalism as a future career? I’d say this is a good field to enter now. Very few people do this, especially women and in small towns and rural areas. It challenges stereotypes. I’d say tell her that there are role models—like us—and we’d be happy to support her with trainings and other opportunities.